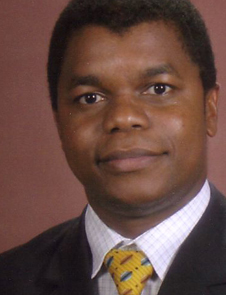 Dr. Nganbe joined the Department of Mechanical Engineering in 2006 following 5 years in industry. He is active in teaching, research and development in the fields of Materials and Manufacturing and works on projects with companies in Canada and the US. His research focuses on metallic and ceramic materials as well as fiber, nanotube and particle reinforced metal- and ceramic-matrix composites for functional, biomedical and structural applications. Targeted industries include aerospace, automotive, transportation, defence, mining, implants and tools. The materials are designed to provide lightweight, high strength as well as resistance to impact, high temperature, wear and corrosion. Appropriate casting, squeeze casting and powder metallurgy manufacturing processes are developed that allow grading the materials to achieve tailored local properties depending on the component demand and function. He received his Ph.D. in 2002 from the Dresden University of Technology. During his doctoral research he worked with the Leibniz Institute for Solid State and Materials Research on precipitation- and dispersion-strengthened superalloys. He worked on automotive components development as Test Engineer in Germany from 2001 to 2004, on metal foams development as Research and Development Manager in Montreal and on nanostructured coatings as NSERC Industrial Research Fellow in Calgary from 2005 to 2006.